2008 was a very good year for Doctor Who – the highest viewing figures in the revived show, the number one rated show of the week for Journey’s End, in 2008 Doctor Who was THE show to watch, everyone watched it, but like all good things the team of Tennant & Tate who had been instrumental in this high water mark was soon at an end. Donna Noble’s story came to a tragic end, she suffered a fate ostensibly worse than death, she was robbed of all knowledge of her time with The Doctor and became the vacuous person she was before he had enlightened her, and in a heartbreaking end to the season, The Doctor is left on his own again. And that was that, a few more specials and the greatest and most successful era of Doctor Who was at an end, David Tennant bowed out on new years day 2010 and something special vanished from the world of Doctor Who, something it has never quite achieved again. The Doctor had lost his best friend in Donna Noble, and the audience had lost its best Doctor in David Tennant, and those glory days were gone forever. Not if Big Finish had anything to do with it they weren’t. The thing that makes the 2008 season so special is the camaraderie between 10 & Donna, no romance, no sexual tension just friendship – a deep caring friendship which makes Donna’s fate all the more tragic – she genuinely loved her time with The Doctor, she learnt from being with him and grew as a person, she wanted to stay with him forever. Tennant & Tate had such chemistry that they have been cast together in Much Ado About Nothing as Benedic & Beatrice and as recently as April 2016 have presented “Shakespeare Live” together for the BBC – some actors just work well together and bring joy to the screen – Tennant & Tate are the personification of this. So, after eight years away from playing The Doctor and Donna how do they work on audio? 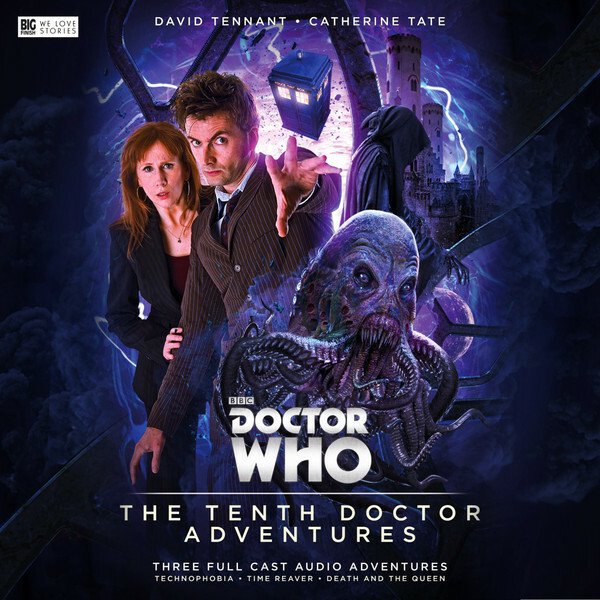 Fire up your iPod (or CD player), put in disc one, close your eyes and immediately you are back in 2008 – yes indeed dear readers, its like season 4 never ended, the golden age is back, David Tennant is the Doctor travelling with Donna Noble and all is well with the world. This very special release is split into three stories. The Doctor takes Donna a couple of years in to her future to visit London’s Technology Museum but something is wrong. Jill Meadows (Rachel Stirling) cannot use her tech, technology is attacking the populace, society is beginning to unravel as humans lose the ability to use technology – is it mass hysteria or is it all part of an alien plan? Reminiscent of the RTD era present day earth stories with rolling news, familiar settings and a threat that plays on our reliance on tech – this is a whizz-bang season opener and from their very first appearance The Doctor & Donna are back – utterly. Its like they have never been away. Donna is funny, sharp, witty and clever, whereas David is well, how do you describe 10? sublime? definitive? much missed? all of the above? It contains all the hallmarks of the Ten era, fast talking wise cracking and a sense of joy that has been sorely lacking in modern Who since, well since 01 January 2010 really. Welcome back David, you have been missed. When the fluid links burn out in the TARDIS, the Doctor takes Donna to Calibris to see his old friend Soren (Alex Lowe) to get them replaced or repaired. Calibris is a spaceport, a stopping off point where crime is rife and everything has a price. Donna (in full “wench” outfit) is not impressed, she would much rather the Doctor had taken her to the “Planet of the boys” (not that such a place exists according to Ten) But all is not well on Calibris – as the alien Vacintians try to impose some sort of law & order to Calibri, the gangster Gully has come in to the possession of the most disturbing and horrific weapon in all creation – a Time Reaver, a weapon that can prolong the agony of death almost to an eternity. A very “noir” feeling episode, full of the usual 10 & Donna humour, but also with a darker undertone, there is a scene where I went cold as a phrase from season 4 is mentioned and the soliloquy by Ten in the last few seconds is heartbreaking, more so because we know his fate. Supporting cast are Who luminaries Terry Molloy and Dan Starkey who sound like they are having a ball, and why not the material and the rest of the cast demand that they do – a great mix of the tragic and the comic – never melancholy but tinged with the feeling of inevitability. What follow is bit of a base-under-siege/romp of a story with Donna’s wedding being interrupted by an invasion from Death itself and an army of living Skeletons and dawning realisation of what Donna’s part in proceedings really is. Another wedding disaster for Donna ensues as The Doctor tries to work out the significance of an inscription on the flag and work out the actual price of 500 years of peace and harmony. Full of zingy dialogue and Donna-tastic one liners, Catherine Tate steals the show in this episode, it really is a vehicle for Donna to show what she is made of – and we are not left wanting. Three stories really are not enough, I could have listened to seven or eight more – and whilst I am overjoyed that the stories are being made it makes me all misty eyed and nostalgic for the glory days of 2008 and to extend that all too brief era even more through more releases from Big Finish. A very special release that perfectly captures the spirit, ethos and ambiance of 2008 – not a tribute or a nostalgia piece, a continuation of that era, the episode could quite easily have slotted in to the season – and coming from an RTD fan that is praise indeed. Undoubtedly a Ten (and Donna) out of Ten.